Richard Rohr is a Catholic, Universalist mystic, and he writes the kinds of books recovering evangelicals need to read. Whether or not you agree with me, just reading this post won’t nullify your salvation, so hear me out. If you need a few minutes to memorize a few extra verses from Romans or if you want to hyperventilate in front of a picture of Billy Graham, have at it. I’ll wait. Mind you, I’m not writing this for evangelicals in “the establishment” or who would rather do yoga (the Eastern religion also known as “stretching”) than listen to a Catholic, Universalist mystic. I’m writing this for you evangelicals who have either had it with the whole evangelical thing, are inching their way out of Christianity altogether, or feel like the evangelical subculture is just a bit much right now. Perhaps some things aren’t quite clicking. Perhaps you’re secretly struggling with doubts. Maybe you’re just burned out and feel a bit hopeless. 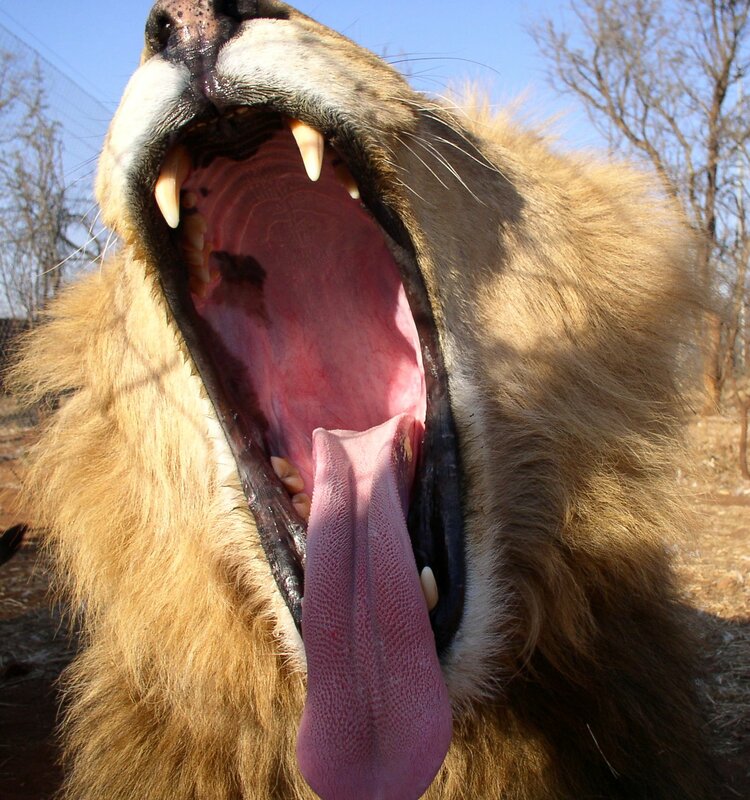 You’re also most likely “roaring” against the inconsistencies, false promises, or doubts you didn’t see coming. And if you feel like you’re burning out, bowing out, or the whole thing is just a giant bait and switch offering anxiety and infighting instead of peace and joy, there could be worse things than listening to a Catholic, Universalist mystic. I know there are a lot of you who are either on your way out or deeply disappointed with evangelicalism. Every time I talk to someone in their 20’s or 30’s, it seems like I hear yet another story of someone who signed on to follow Jesus with high hopes of salvation, meaning, and life-change. The truth of the Bible was exhilarating, going to church was relevant, and you simply couldn’t do enough for Jesus. At a certain point, things start to unravel a bit. It’s often gradual, but it may be accelerated by a tragedy or difficult situation. There’s almost a script we all followed over the years. We all fell off the same cliff of high hopes. In my own case, I was drowning in theology, Bible study, and churchiness while in seminary. It was as if one day I woke up and reading the Bible more, getting more truth, or attending more church didn’t cut it when it came to connecting with God. In fact, all of my solutions became my problems since the thought of them failing meant my faith would fail. When you’ve been given the best, purest, most orthodox doctrines and you still come up empty, distant from God, and even more distant from your neighbors, maybe the next step shouldn’t be doubling down on more of the same. Maybe you need a bit of a shift without necessarily throwing everything out. I know that some people will accuse you of throwing everything out by merely listening to a Catholic, Universalist mystic without the intention of hammering him with a book by John MacArthur. Nevertheless, these accusers forget that smart people can interact with ideas and spiritual practices from someone in a different theological camp without adopting that person’s theology and practices in whole. We can learn something from a Catholic, Universalist mystic without abandoning the core evangelical commitments to studying scripture, personal piety, saving faith through the death and resurrection of Christ, and proclaiming that Jesus is King. I’m also not here to rip apart anyone’s life choices here. If you get a lot of life from reading theology and Bible study in the evangelical fold, that’s awesome. I have no idea why some people struggle where others prosper, but I never want to make the mistake of criticizing someone for not finding life or hope where I have discovered it in abundance. In the midst of this mire of despair and uncertainty, I suggest we stop roaring at each other about our theology or whatever and talk a little bit about Richard Rohr. As a former evangelical culture warrior who than dabbled with some of the emerging church stuff, I’m tired of fighting. First I was fighting the world. Then I was fighting the mainstream evangelical subculture. Then I was fighting some of the progressives who I thought had gone too far or thought they could do a better job than the Holy Spirit at bossing people around. In a sense I’ve been the same exact person who was combative, tribal, and absolutist. I just switched my theology and proof texts. I was just as uncaring and judgmental no matter what I believed. I hadn’t actually changed the way I interacted with God and with other people. If Protestants are anything, we’re tribal. It’s what I love the most and hate the most about us. We always reserve the right to break away. That can be awesome if the global leader of your church commands armies and functions like a one-world government (There are reasons why the first Protestants called the Pope the Anti-Christ!). But what started as a reaction to the corruption of the Catholic Church in the Middle Ages soon turned into tribal in-fighting as we fractured endlessly with each other over theology. I still care about theology a great deal. However, I’m tired of fighting over my turf. I’m tired of trying to classify people as sinners or saints, safe or sinister. Our mission to reach those outside the evangelical fold may have resulted in an unintended obsession over who’s in and who’s out. Is there a better way to spend my time than attacking an opponent or defending someone in my tribe? While Rohr is motivated in part by a universalist theology in his call for Christians to lay down their arms in their fights with each other and those of other faiths, he still makes a compelling case to stop fighting our little turf wars and to turn toward Christ. His critique is a call is to something bigger rather than a kick out the door for those who misbehave. Rohr is onto something. Evangelicals have obsessed over preserving pure doctrine and maintaining clear “insider/outsider” categories. Every divisive issue with evangelicals is rooted in this desire to know who’s a sinner and who’s a saint. Some have called this “bounded set” thinking. We have passwords (so to speak) and codes of conduct, and they determine who’s in and who gets invited to a concert with a surprise evangelism message. Rohr is firmly in the “centered set” mindset. He calls us toward Christ at the center, and he encourages us to define ourselves according to God’s love for us rather than which boundaries our denominations or churches set. Rohr would probably call his approach more of an “open set” mindset, where we create room and stillness for God to meet with us. God is already present with us, so we aren’t necessarily even moving toward God. God has already moved toward us, and he encourages us to open ourselves to this possibility so that God can redefine us around his love. I don’t follow Rohr’s more Universalist teachings, but evangelicals could really benefit from his focus on becoming renewed and transformed “in” Christ rather than fighting to preserve our doctrines “about” Christ. Evangelicals could also use a less antagonistic approach to other religions. At the very least we should recognize some common practices and goals with other faiths, even if we can’t swap Jesus with the Buddha. I’m sure that Rohr would be happy if a few more evangelicals wanted to give yoga a shot, but that never comes up directly in his books. Whether or not we unfurl our secret yoga mats, Rohr also has something to offer those of us who feel like Bible study just isn’t cutting it. Evangelicals have a strong tradition of Bible study and spiritual disciplines. We have historically been really good at self-denial and writing commentaries, the latter surely aiding the former by taking away from time that could otherwise have been spent smoking, drinking, and dancing. As I hinted earlier, I had grown weary of adding one more thing to my spiritual life. I’ve always felt like I needed to add more prayers, more disciplines, and more study. Every time I tried to add something else, it either failed to produce the desired result or I couldn’t keep up with it. As it turned out, I didn’t need to spend more time on spiritual practices. I needed to change how I spent my time. If you’re worn out and weary from always adding one more thing to your spiritual life, Rohr will drive home a major reality check. Rohr suggests that we often fill our lives up with some many “things we have to do” in order to hide from our true selves: our identity in Christ. So while we can use Bible study, prayer, or spiritual practices to help us discover that identity, the act of doing these things can divert us from the deeper work of silence before God. We can resort to ticking off boxes, whether that’s boxes for doctrine or practices, as the true measure of our faith. Rohr has helped me see that measuring, adding, and learning are all poor substitutes for abiding. It all sounds a lot like a branch abiding in a vine, and the most life-giving (and “safe”) evangelicals have been the ones who focus on abiding rather than behaving since those who abide will figure out the behaving. There is nothing we can do to change the immediacy of God among us, and with the Holy Spirit among us, we don’t have to “work” to invite God to be in us. We aren’t chasing after a God who is always one step or several steps ahead of us. We have to work to see that God is already in us, and I hope you can see how much hope and joy we can find in that approach to things. Evangelicals have a tendency to keep working harder and harder and harder to get closer to God, to learn more, and to be more obedient. Rohr reminds us of the good news in the Gospels: seek and you will find. Knock, and the door will be opened. The disconnect comes when we don’t know how to seek or where to knock. Instead of telling us to do more in order to find God, Rohr suggests that we actually do less. As little as possible in fact—as “waiting” on the Lord sets the bar pretty low for us. At the end of the day, evangelicals are left asking, “What’s the point of it all?” Why do we go to church, read the Bible, pray, attend small group, and read books by Christian authors (like me!) who wave around MDiv’s and drop in self-deprecating jabs at the evangelical subculture? Why bother? Perhaps the thought of avoiding hell was enough to get you in the door, but fear is a lousy motivator for the long term. It’s awesome for short-term survival. As in, seeing a shark fin in the water will strike enough fear in you that you’ll swim really fast for the shore. However, you can only swim so fast for so long. In fact, for many of us, I would guess that some evangelical teachings on salvation feel like we’ll either reach the safety of the shoreline or a lifeguard will save us, but he’s really unhappy about it because we’re such wretched people. Evangelicals can be a bit frantic and uptight sometimes. We’re the ones who went forward for multiple altar calls and multiple baptisms throughout our childhood and teens just to be sure we got that prayer right. We’ve had sleepless nights because of end times predictions. We’ve tried to be holier, tried to win God more glory, and fretted over the many times we’ve failed at both. So what gives? Why is all of this such a struggle? And why bother? Is this really all about avoiding hell? You may have guessed from the above sections that Rohr has something to say about all of this. Just as we are called to open ourselves to God and to abide in Christ, we practice disciplines such as silence or lectio divina or centering prayer in order to be transformed by a union with God. It’s not just learning about God or obedience, Rohr suggests it’s an actual mystical interaction that we’re after. This is where life change and direction comes from. We may not even know what exactly has changed. We may not be able to put it into words. It’s not really something that we do. Rohr would say that it’s something that “is” in the present moment. We have been present with God and God has been present with us, even if that presence sometimes feels like silence. In fact, our expectations for God or spiritual experiences can hold us back from receiving God’s presence since we’re too busy looking for something else. That will sound a bit vague if you’re new to Rohr’s teachings, but I think he hits at one of the greatest struggles that so many evangelicals face is the fear of God’s absence. We fear silence and being quiet before God because we’re afraid that God won’t show up. We focus on the outcome and experience. Rohr chops away all of that anxiety and calls us to be still. We can be present before God and wait. Over time, God will unite with us and shape us. It’s not a three step or twelve step process. It won’t feel easy or natural for us, and perhaps those reasons alone are the most compelling reasons for struggling evangelicals to give Rohr’s teachings a try. Read and blog/journal about one book by Richard Rohr in the new year. You can ask for the book as a Christmas gift. You can buy it in secret and cover it in brown paper so your friends don’t know what you’re up to. You could even have the book shipped to the home of a trusted, non-judgmental atheist friend. Whatever works. Not sure you want to go that far? You can sign up for Richard Rohr’s email list and get daily readings from his books and talks. They’re short and to the point. Some may prove more relevant than others, so stick with it for a month before ditching it. If all of that still sounds like a bridge too far, there are lots of other books you can read to help you break out of a post-evangelical malaise. Vineyard pastor Ken Wilson wrote an introduction to contemplative prayer called Mystically Wired. 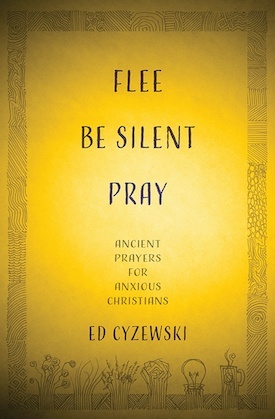 I also wrote a book called A Christian Survival Guide that provides some really simple steps you can take toward praying with scripture and cultivating contemplative prayer, as well as help with other hot topics that give evangelicals fits. Of course if none of this appeals to you, that’s fine. Catholic Universalist mystics aren’t for everyone. However, if you ever reach a point where you feel like your faith is faltering or you can’t figure out how to encounter Christ in your day-to-day life, I know a guy who can help. He also has a series of lectures on St Francis called The Art of Letting Go: Living the Wisdom of Saint Francis (available at Audible.com) that I found helpful. Essentially they are about spiritual formation. Thanks for the recommendation! I’m so grateful for the correctives that folks like Rohr offer. It’s not that evangelicals don’t work at spiritual formation. It’s just that we could really use Rohr’s help. I finally read Richard Rohr this year (“Everything Belongs”). Why did I wait so long? I don’t have to agree with everything he says to still benefit from his transformative thinking (which two people ever agree on everything anyway?). I’ve long been a reader outside my own tradition and I’ve found it to enhance and refine my beliefs. I’m finally reading your “A Christian Survival Guide” this month too. Very insightful, as always. Enjoying it thoroughly. Excellent! Thanks Lisa. Yes, I’ve grown the most by interacting with beliefs outside of my own tradition. One can’t learn the truth of these words of God without help from the Spirit of God. I have been struggling for years. But only when I struggled for the “right” thing and was quiet before Him was I rewarded with what I was striving for – God himself. Our churches teach so much about doing and don’t teach how to simply be. I suppose they may be afraid if they had a church of be-ers instead of doers, they would cease to be a church. After all, how would things be taken care of? It would be amazing to see what God would do if we actually let him, instead of striving for the wrong stuff. This post comes at such a great time for me. I’m thinking a lot about biblical meditation and contemplative prayer, and thanks to your recommendation, I just bought one of Rohr’s books. I agree. I’m with Madame Guyon every time. In fact, I have referenced her in most of my books. Theology and Bible study isn’t wrong, it’s just not meant to carry us in the way that prayer, centering prayer, meditation, and other spiritual practices can. These spiritual practices connect us with God, and that’s really why why we do all of this. Rohr’s Immortal Diamond was especially freeing for me as a writer. Such good work here, Ed!! I love reading Rohr – and several others in the Catholic tradition, and am deeply grateful for his insights, his healthy spirituality and his great good humor. I don’t necessarily agree with every stance he takes, but I love his work. I began reading Catholic writers almost 30 years ago and found that reading to be life-changing in some deeply important ways. I was never a MacArthur evangelical (add many exclamation points here . . .) but more of a mainstream one (if there is such a thing!). Even today, I still consider myself an evangelical, in the best senses of that word, which has been so abused in the last few decades. It’s just that I’ve just become more open to a wider variety of interpretations and points of view. And that has made my own faith experiences richer and deeper.